On behalf of the judges and staff of the Civil Court of the City of New York, welcome to our website. The Civil Court handles cases dealing with issues as diverse as the population of the City it serves. 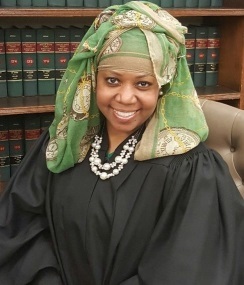 As Administrative Judge of the Civil Court, I am responsible for day-to-day management of the Civil Court in the five boroughs of New York City, as well as for providing policy direction to our judges and non-judicial staff. Our mission is to provide timely and effective justice to everyone who comes before the court, regardless of status, background or personal circumstances. I hope this website will provide all court users with the information and resources necessary to learn about the functions and operations of the Civil Court of the City of New York. Wherever possible we have provided links to resources for self-represented litigants. Open access to information on this website is one of the many ways we hope to engage with and improve the experience of those who come to the Civil Court.